When writer and historian Scott Zesch walks through the central square of Mason, everybody he meets has something to say, a question to ask, or a handshake to offer. You’re likely to be a familiar fellow around town when your great-great grandfather settled in the area from Germany in the mid-1850s, you went to Mason High School, and you’re known for throwing rollicking chili parties. First settled as a fort in 1851, Mason formed as a community of Old World settlers scratching out a new life in harsh Comanche country. Zesch brings this history to life in his award-winning book, The Captured: A True Story of Abduction by Indians on the Texas Frontier, which chronicles the lives of nine kidnapped children, including his great-great-great uncle Adolph Korn. 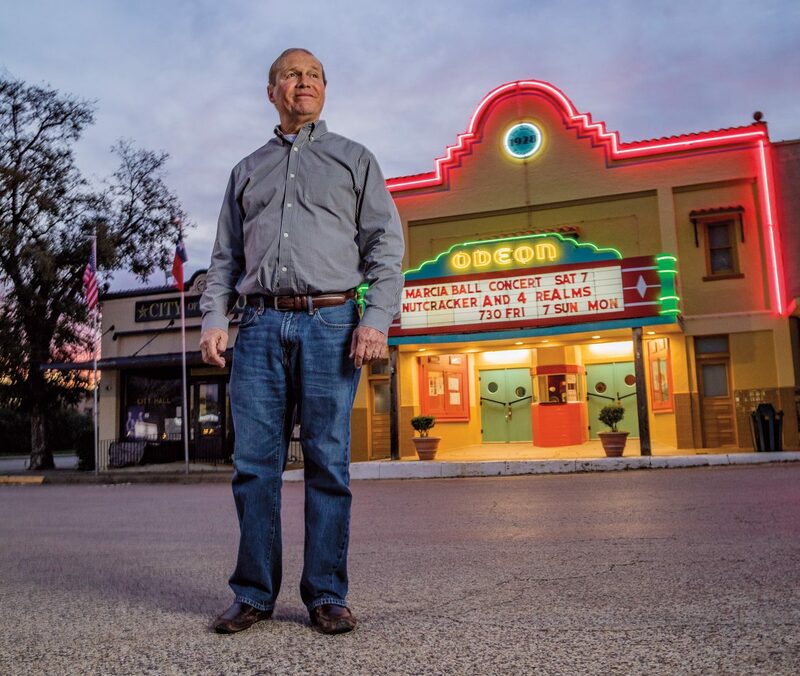 Here Zesch, who lives on his nearby family ranch with his wife, Amelia, muses on Mason’s past and present. In 1957, Walt Disney visited Mason to attend the Odeon Theater’s premier of Old Yeller, a movie based on the book by local writer Fred Gipson. The community rallied in 1994 to restore the Odeon, which is now a venue for movies and concerts.